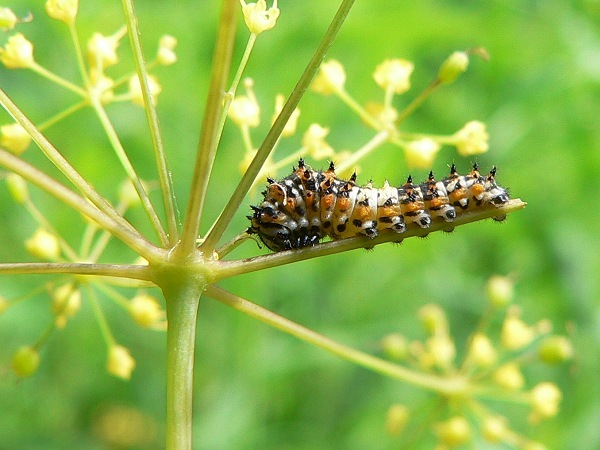 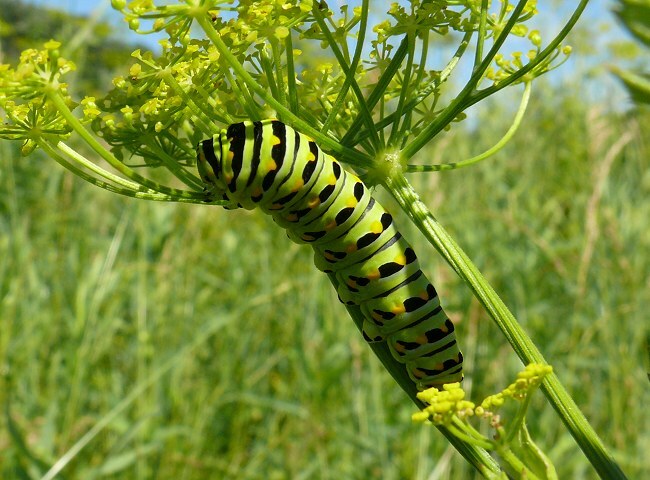 Caterpillar food: plants in the Umbelliferae – the carrot family – including Queen Anne’s Lace, Parsley, Dill as well as native plants in that family. 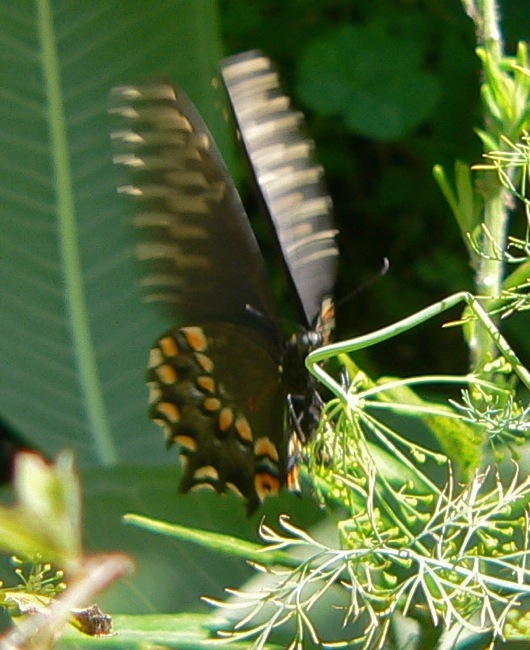 Male Black Swallowtail – 9/2010 Males have larger yellow markings, and less blue. 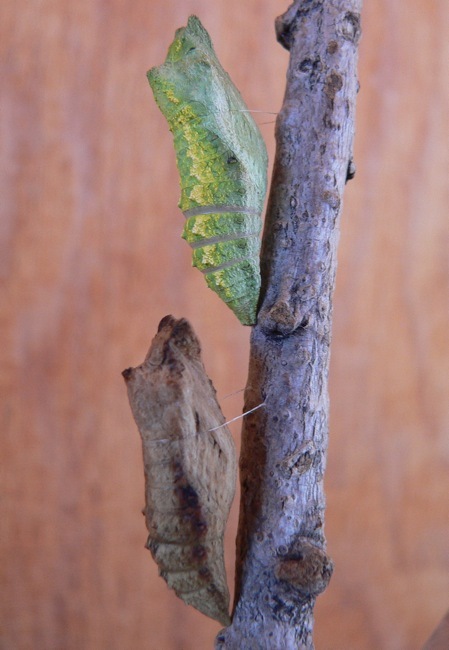 Females have less yellow and more blue, but the same basic pattern. 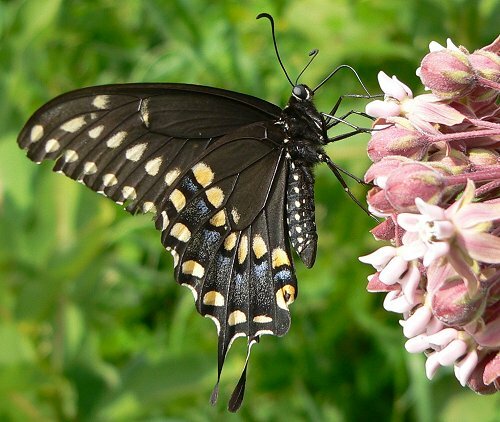 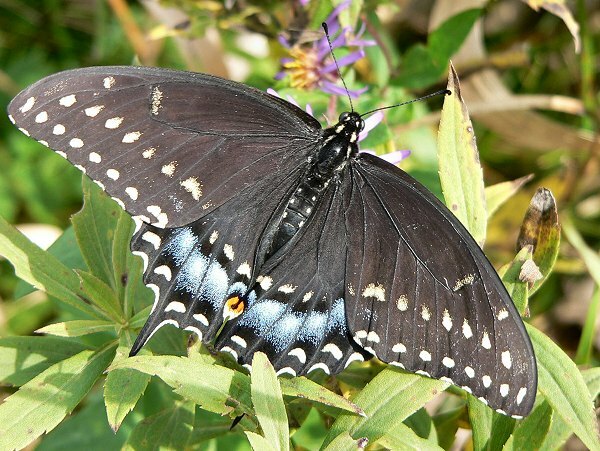 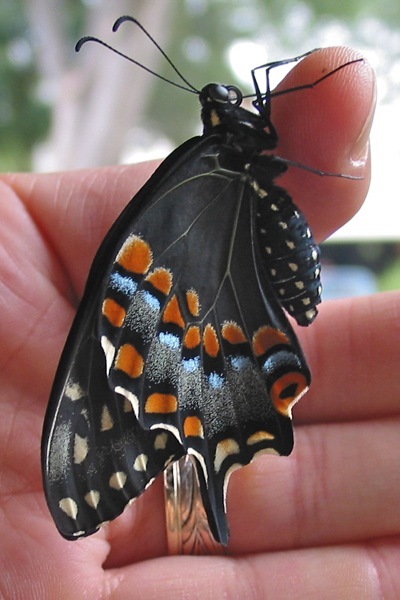 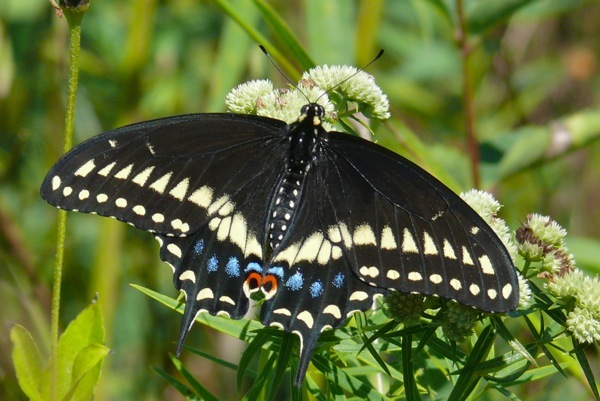 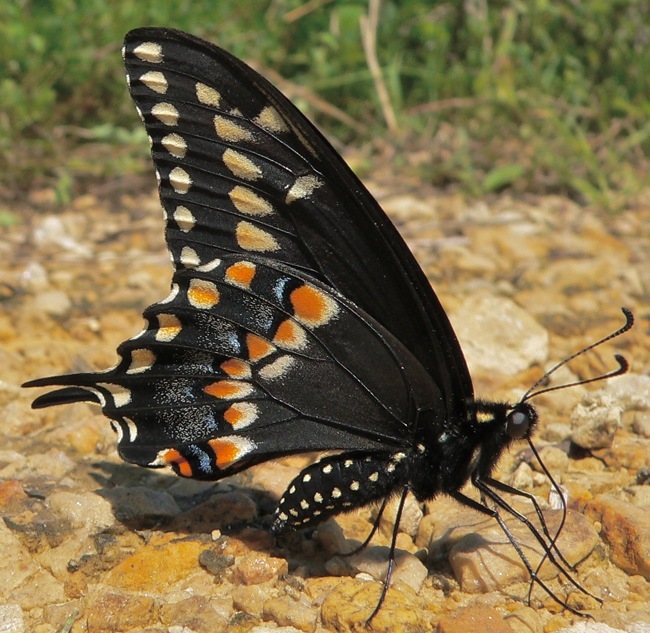 I often see male Black Swallowtails “puddling” on our driveway during the summer – gathering up salts to use in mating. 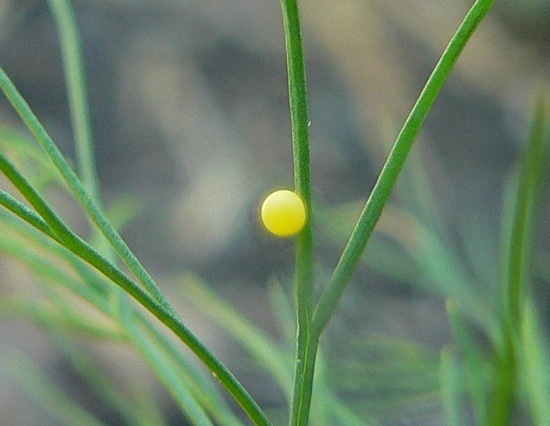 When the females lay an egg, they hover next to the host plant – laying the egg without resting on the plant. 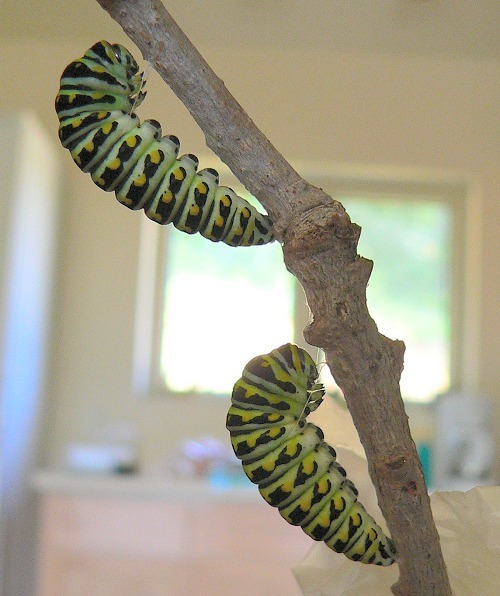 When caterpillars pupate, sometimes the chrysalis is green, sometimes brown.